The Russian Hill Improvement Association is working to preserve the Francisco Reservoir as park and open space. The group has developed plans and is working with the PUC and City to protect the area from development and eventually open the full site to public use. Visit the Russian Hill Improvement Association website. 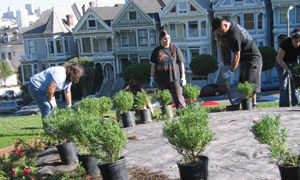 Donate to Russian Hill Improvement Association.